In collecting the kind of reportage that all too rarely appears in this age of media triviality and corporate conglomeration, Muckraking! documents an alternative journalistic tradition, one marked by depth of vision, passion for change, and bravery. From the Stamp Act to the abolition movement to the Vietnam War, from the fight against patent medicines to the elimination of labor spies, from the integration of baseball to the safety of government atomic workers, and from putting people in jail to getting them out, this book illustrates the great journalism that has made America a better country. 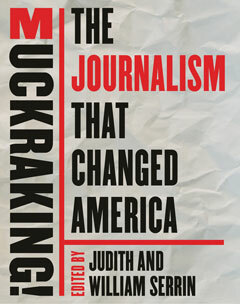 With more than 125 entries that range across three centuries, Muckraking! brings together the greatest moments of American journalism. Supplying historical context and critical commentary, the book also includes a selection of influential photographs and illustrations. By turns compelling and shocking, Muckraking! is an anthology for anyone who feels passionate about the heights that journalism can climb or its ability to illuminate the darkest depths.